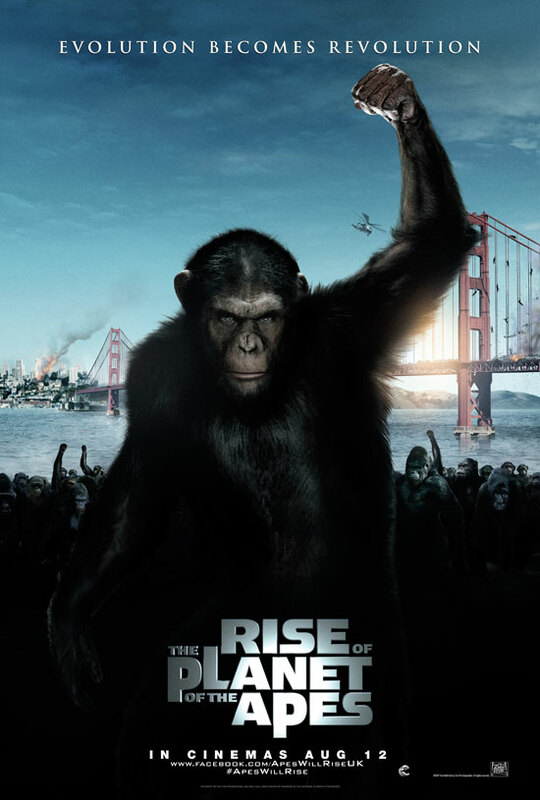 Synopsis: RISE OF THE PLANET OF THE APES combines fantastic storytelling with the next leap in Visual Effects for an emotional and action-packed motion picture experience unlike any other. Man’s arrogance sets off a chain of events that leads to intelligence in apes and a challenge to our place as the dominant species on the planet. Caesar, the first intelligent ape, is betrayed by humans and rises up to lead his species’ spectacular race to freedom and the ultimate showdown with Man. In Caesar, WETA – the Oscar-winning visual effects team behind Avatar – have created a CGI ape that delivers a dramatic performance of unprecedented emotion and intelligence.